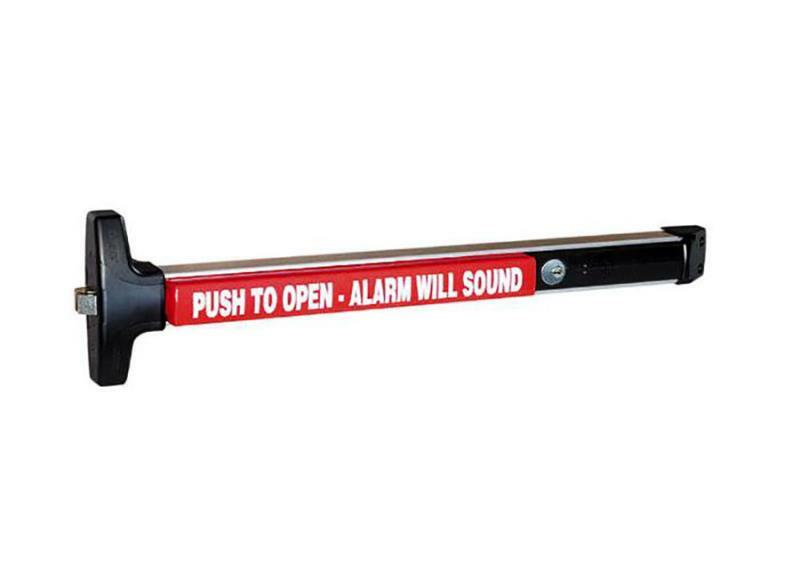 • Doors with a maximum width of 36"
• (If purchasing outside handle) Doors with a maximum thickness of 2 1/4"
This panic exit bar is equipped with an 100 decibel alarm powered by a 9-volt battery. If the panic bar is used when the alarm is enabled the alarm will sound. This is the main feature for purchasing this panic exit bar. 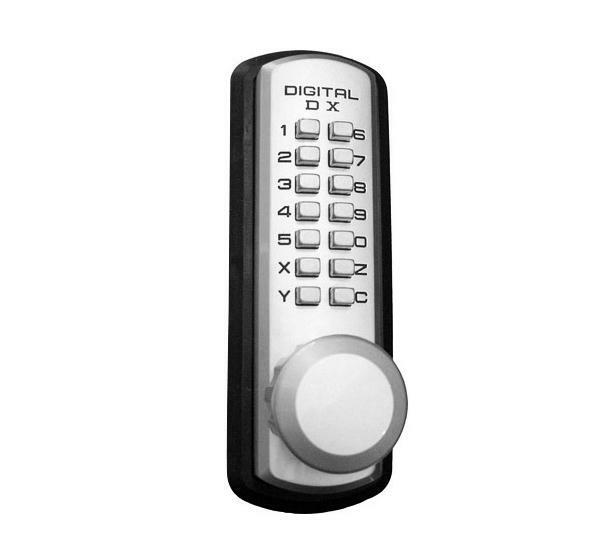 The alarm can be disabled via key. 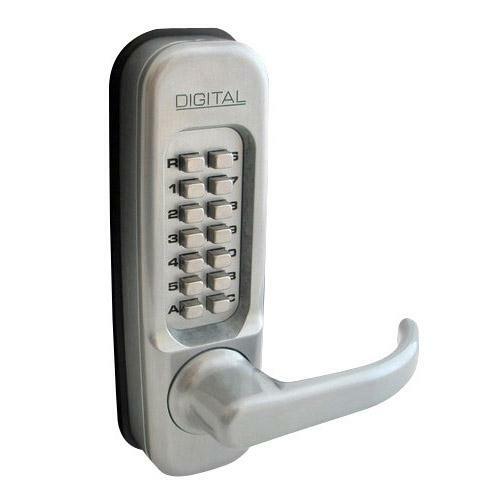 Once the alarm is disabled the door can be opened without the alarm sounding. 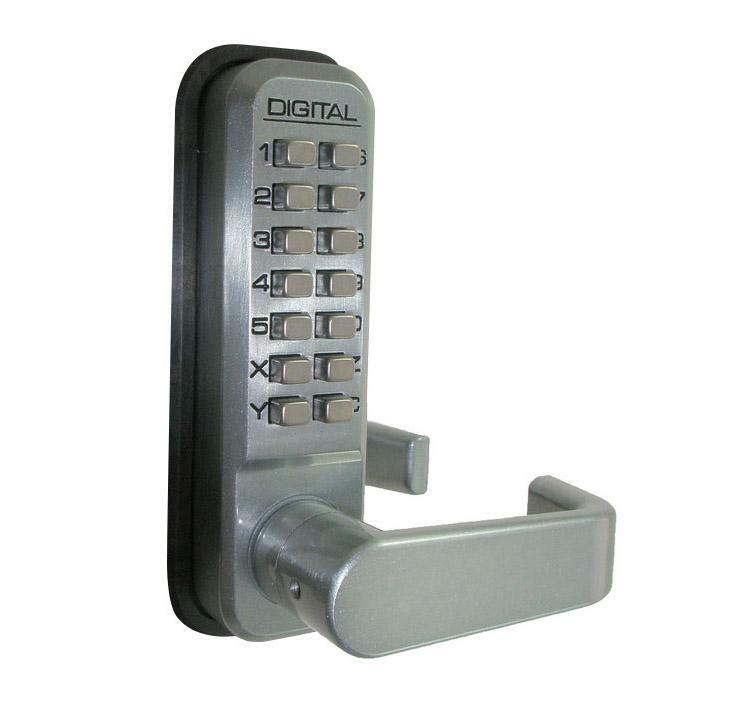 This panic bar is designed to be weather resistant or wet environments, it is code compliant and corrosion resistant.